Wow. I need to say yes to self-published titles more often. 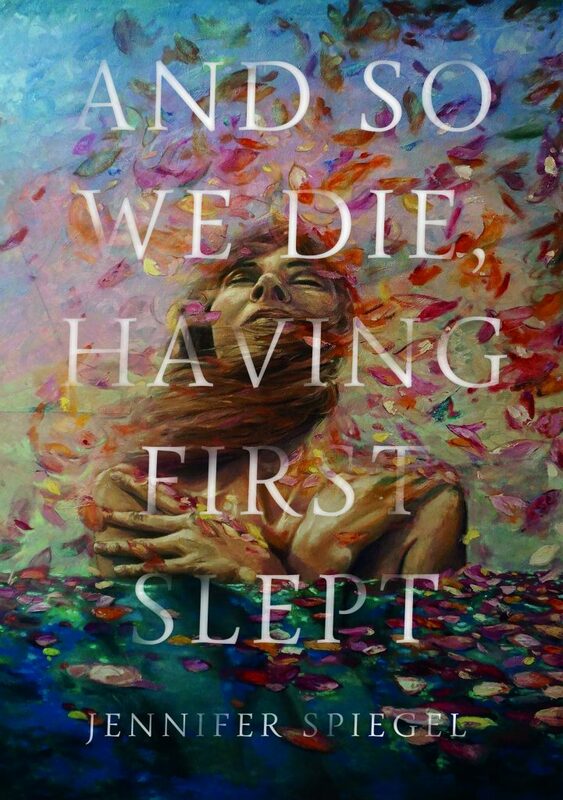 And So We Die, Having First Slept is an incredible novel. Heavy, brutal, raw, and heart-wrenching, yes, but also philosophical and, somehow, beautiful. The writing style is absolutely stunning, and unique (I especially love Spiegel’s clever use of exclamation points). This novel takes you through an intimate journey of one incredibly difficult marriage, the individual and joint lives of two characters who are trying so very hard, even as they’re failing. I found this book just as compelling and rich as Donna Tartt’s The Goldfinch or Meg Wolitzer’s The Interestings, except those two books left me feeling conflicted: I appreciated them deeply, but for some reason I had this overall feeling of apathy about them. But Jennifer Spiegel, God bless her, gave me exactly what was missing from those reading experiences. I was right there experiencing Cash and Brett’s most difficult moments, committed to the heaviest themes of the book. It made me think. It challenged my perceptions. And when the book was over, I felt like I’d been put through the wringer and came out a better person for it. I felt slightly broken, yet hopeful and enriched. And So We Die, Having First Slept is the kind of character-driven reading experience that becomes the litmus test for all others that follow.